Posted at: 10/16/2011 08:54:00 AM . 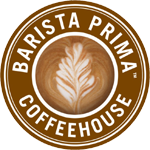 Target is currently offering a free sample of Barista Prima k-cups on their website. You will have to answer a few questions about your coffee drinking habits before you can enter your shipping address. One of the questions asks about how you make your coffee so they might deny you the sample if you don't have a Keurig .